Wishing Caroline and Michael a beautiful wedding tomorrow despite the forecast of rain. Even if it does, I'm sure they will have an amazing time! 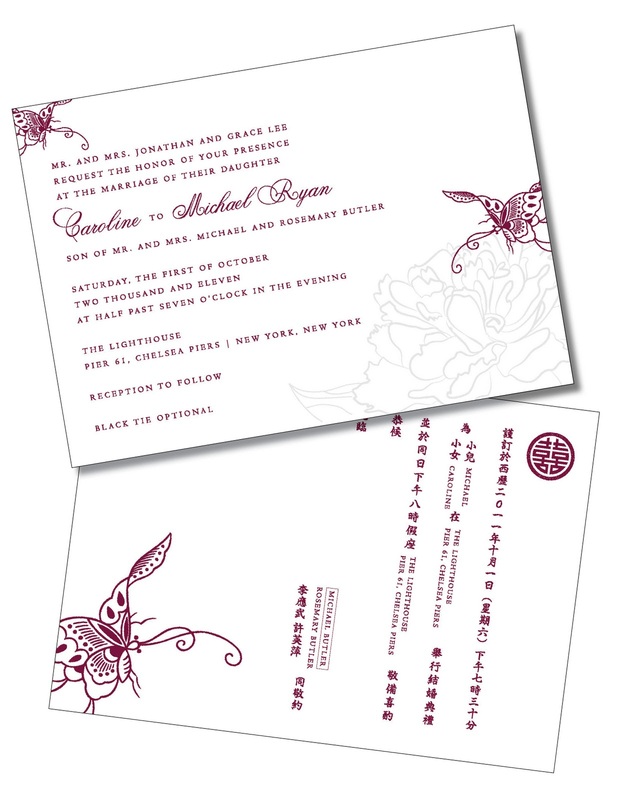 It was such a pleasure working with Caroline on her letterpressed, Asian-inspired, butterfly design. The peony that the butterfly lands on was blind embossed into the paper. 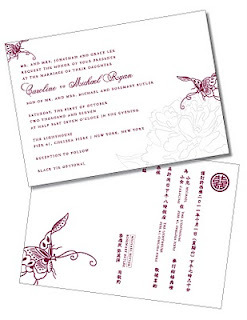 Their English invitation was translated into Chinese and printed on the reverse side...also via letterpress and with no show-through...thanks to Sarah from Shed Letterpress and her artisan printing methods!